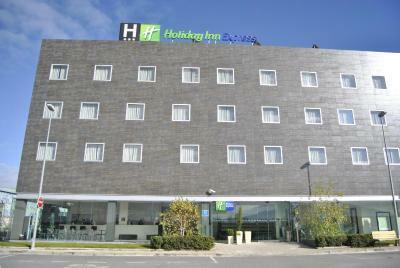 Lock in a great price for Holiday Inn Express Pamplona – rated 8.5 by recent guests! 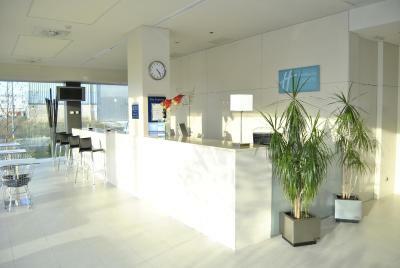 Clean hotel, superb staff who accommodated us on each request. Good breakfast. 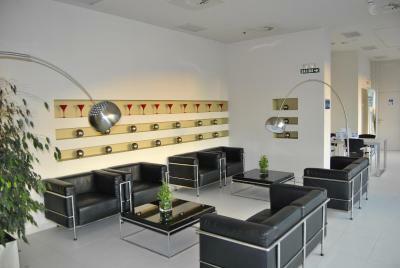 We enjoyed adjoining rooms, TV and friendliness of the front desk staff. It was a great stop over for us driving home to the Uk. Parking on the street in front of hotel was important as we had bikes on the car roof and it was a dead end so no passing traffic. The duty manager was friendly and helpful in providing us with recommendations of eateries in the old town and was keen to know we had a comfortable stay in the morning. Made our brief stop over in Pamplona fun and keen to return. 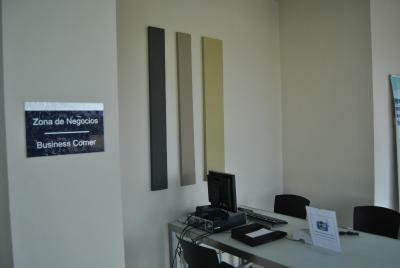 Smooth Check-in, clean & well appointed room very good breakfast Ideal for overnight stay, excellent value for money. Excellent value for the money. Location good for a wide selection of restaurants and adjacent shopping mall. Breakfast simple but accurately described. Property very clean. Although close to the main road, we didn't encounter any traffic noise. Will definitely use again. We stayed for one night on our way back to Uk and just wanted a hotel off the motor way for easy access the following day. The hotel was just that, on a commercial centre which was a little strange but the hotel was quiet and parking was easy. Evening meal was very hot (unusual for Spain) and not expensive. Breakfast was buffet style but offered a good selection. Some of the rooms were being refurbished but we didn't experience an noise. The hotel was in expensive and perfect for our needs after a 5 hr drive. 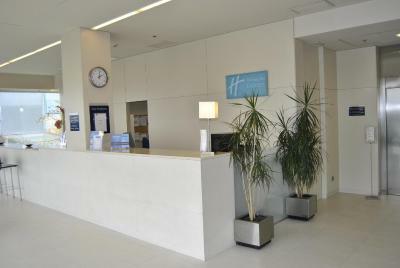 Beds very comfy, lovely shower, staff welcoming and convenient location. Good value for money. All good. Clean rooms, good breakfast selection. 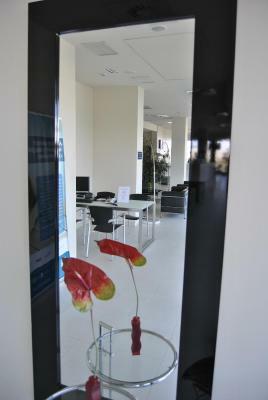 Easy parking and hotel is very close to motorway and shops. Bedroom spacious,very large comfy bed.Breakfast excellent.Reception staff very helpful 're Bus service into Pamplona.Easy access to Motorway. 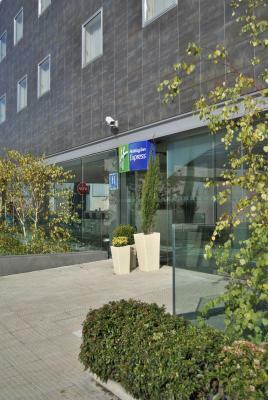 Holiday Inn Express Pamplona This rating is a reflection of how the property compares to the industry standard when it comes to price, facilities and services available. It's based on a self-evaluation by the property. Use this rating to help choose your stay! Set in the region’s largest shopping center, this new, modern hotel offers clean, comfortable accommodations and a convenient location with great road access. 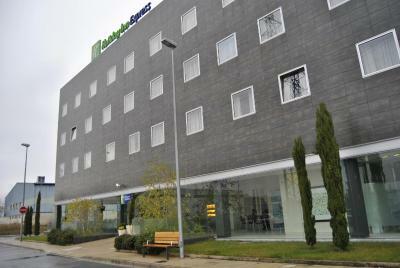 Holiday Inn Express Pamplona forms part of La Morea center and is set close to the A-15 motorway. There is a bus stop 5 minutes' walking away, which connects guests to the city center. 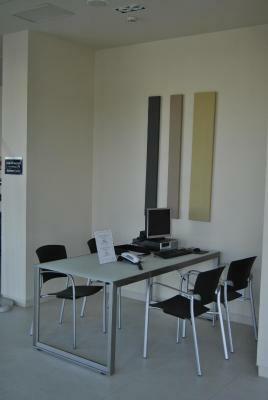 Take advantage of on-site facilities such as the indoor garage. 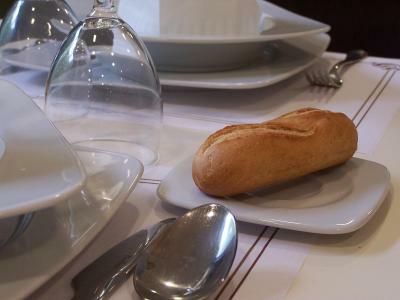 You can also start each day with the hotel’s delicious buffet breakfast. 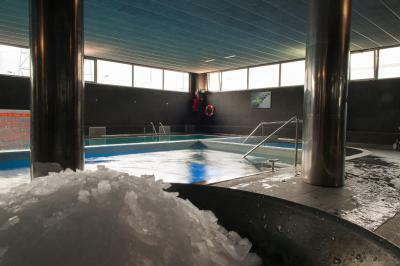 This property also has one of the top-rated locations in Mutilva Baja! Guests are happier about it compared to other properties in the area. 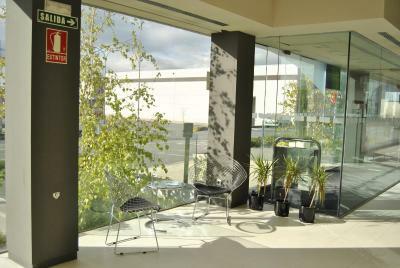 This property is also rated for the best value in Mutilva Baja! Guests are getting more for their money when compared to other properties in this city. 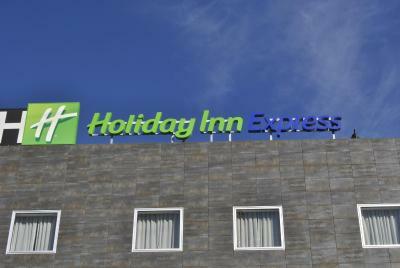 When would you like to stay at Holiday Inn Express Pamplona? 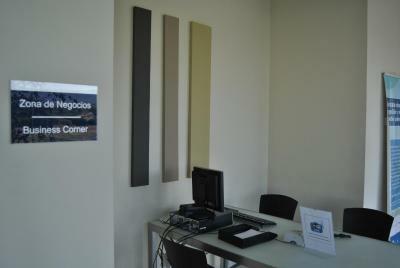 This air-conditioned room includes satellite TV. The private bathroom has a hairdryer. 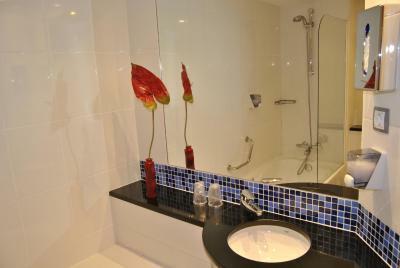 This air-conditioned room features one double bed and 1 sofa bed and comes with satellite TV. 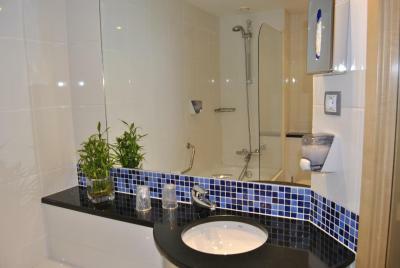 This air-conditioned room includes satellite TV and a private bathroom with a hairdryer. 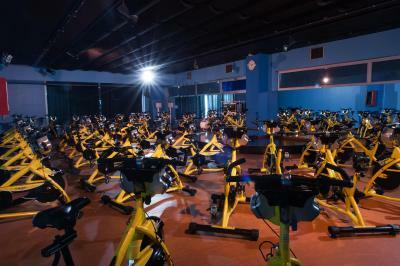 It also includes 1 free entrance to On Fitness Center & Spa across from the hotel. For more entry tickets, please ask at the front desk. Composed of 2 connecting rooms, 1 double and one twin and with 2 bathrooms and 2 TVs. 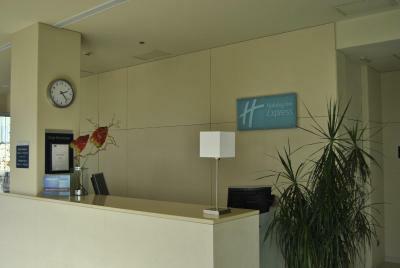 House Rules Holiday Inn Express Pamplona takes special requests – add in the next step! Holiday Inn Express Pamplona accepts these cards and reserves the right to temporarily hold an amount prior to arrival. 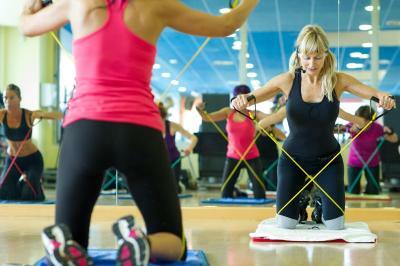 Please note that the Holiday Inn Express Pamplona provides a 50% discount for the On Fitness Center & Spa across from the hotel. Shower gel & paper tissues dispensers empty, but otherwise all good. It was a shame that the restaurant was closed on Saturday evening so had to go out to eat. I prefer to stay in after doing a 6-8hr drive. The address wasn’t recognised by my sat nav, so it was tricky to find it. 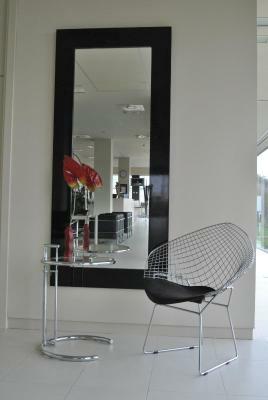 Very comfortable, clean and modern. Perfect for a stop over on the way to and from Spain. 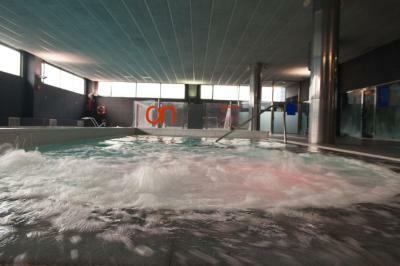 The staff were brilliant, spoke very good English! Which was very helpful!